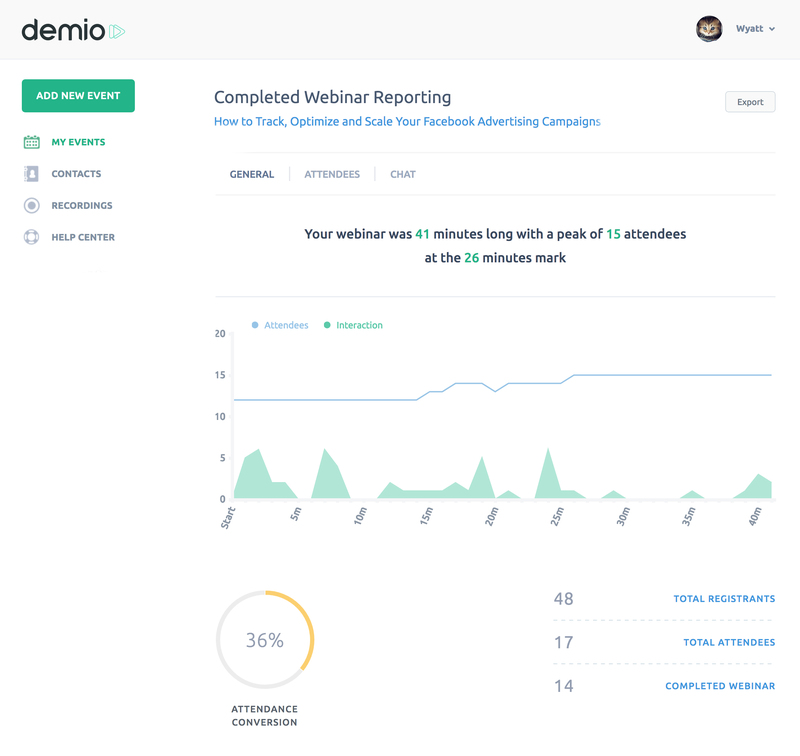 After you complete your webinar, Demio will automatically move your Upcoming Webinar over to a Past Webinar event. Under the Past Webinar section, you will find all past events, recording links to events, total number of attendee reports, and access to your Webinar Report. Our initial webinar report will showcase the total numbers of attendees, the length of the webinar, activity on the webinar, registration conversion rate, and total Registrants / Attendees. You will also find an individual Attendee report with their chats and time of chat. This data is all easily downloaded by using the 'Export' button on the top right to download a full CSV report.